By Craig | January 22, 2019 | This post may contain affiliate links, which means we may receive a small commission, at no cost to you, if you make a purchase through a link. Read our Disclosure. When visiting Airlie Beach, make it a priority to explore the Whitsunday Islands, home to the most beautiful beach in Australia. 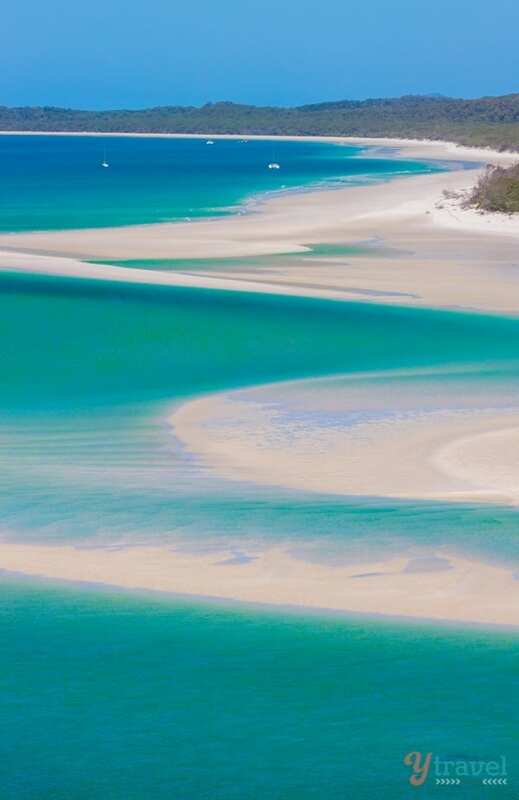 I say that because I’ve walked upon many of Australian beaches, and none have the Wow Meter launching into the stratosphere like Whitehaven Beach does. It consistently ranks in the best beaches in the world lists on TripAdvisor, just so you know I’ve got backup with my bold statement. On our recent trip to Airlie Beach, we jumped on the fastest boat on the water to zip around the Whitsundays and take in as much as we could in one day. 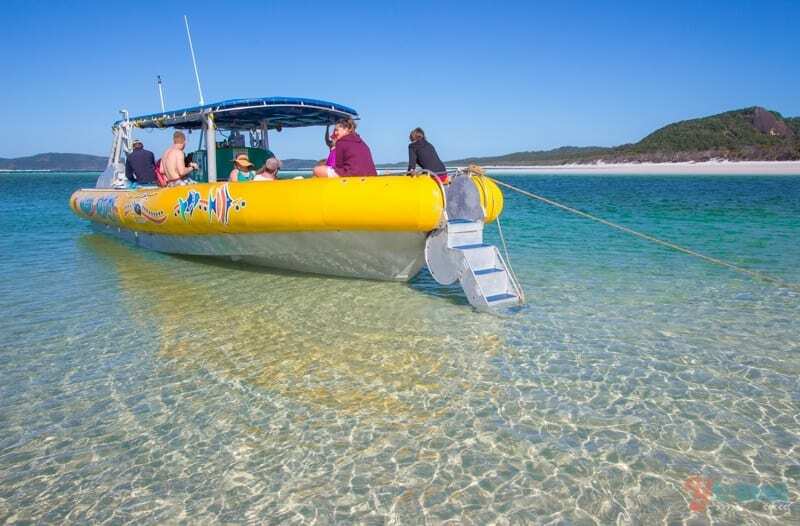 Ocean Rafting is a small, bright yellow semi-rigid inflatable, designed to enter the shallow waters where no other sailing vessels have permission to go – that is right up on the sands of Hill Inlet on Whitehaven Beach beach. 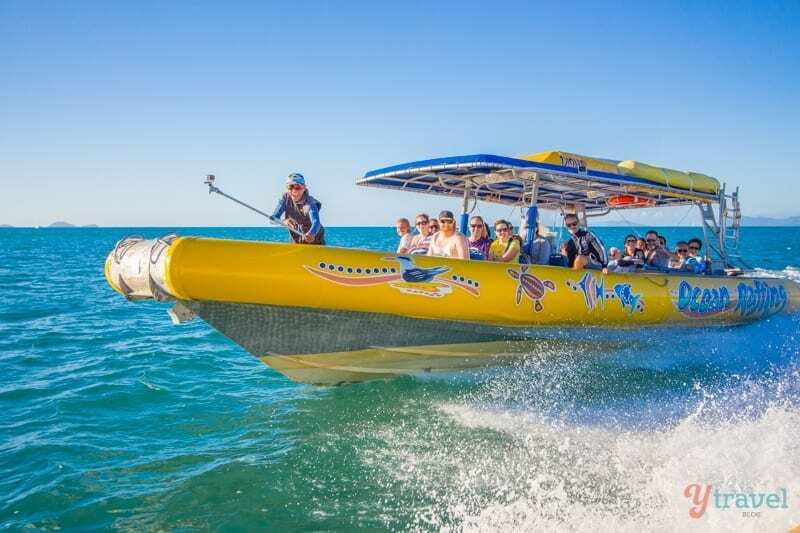 Ocean Rafting is a full-day adventure taking in the best of the Whitsunday Islands and a fun ride when at full speed. Our first sign of paradise after departing Airlie Beach was a quick stop at Langford Island, a popular spot with snorkelers, divers and many of the sailing boats that anchor here. 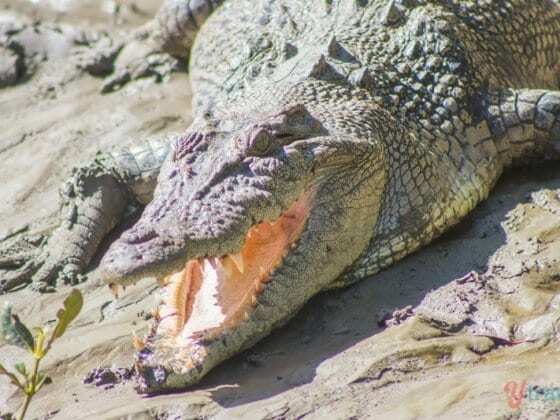 It features a long sand spit that basically disappears at high tide, and judging by the scene we witnessed a magic spot for sunbathing and swimming. After we sped away from Langford Island a few of the locals who inhabit the waters of the Whitsundays were nice enough to come by and say hello. 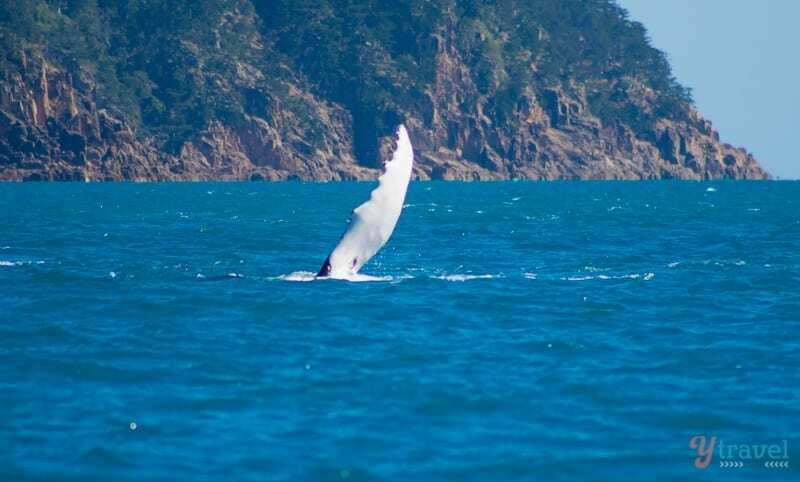 We were about a month too early for peak whale season and whilst there are no formal whale watching tours in the Whitsundays, whale sightings can be a free bonus inclusion on your tour which is always exciting. A friendly humpback whale frolicking in the distance gave us a wave, and it’s times like these when our 300mm zoom lens comes in handy! 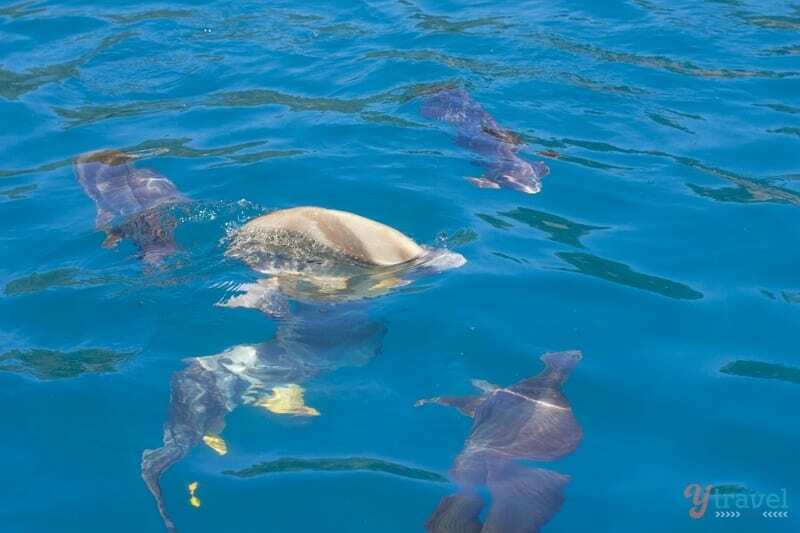 Our snorkeling adventures took place at Maureens Cove and Manta Ray Bay, two spots off Hook Island where you can swim with the huge batfish who aren’t shy and will eat out of your hand. The water was a little chilly upon entering, it was the middle of winter after all, but once we jumped in that quickly became an afterthought as we went exploring for marine life. This was Kalyra’s first official snorkeling experience and she loved swimming around with daddy comforted by the fact we weren’t out in the middle of the ocean and the shoreline was within easy reach. 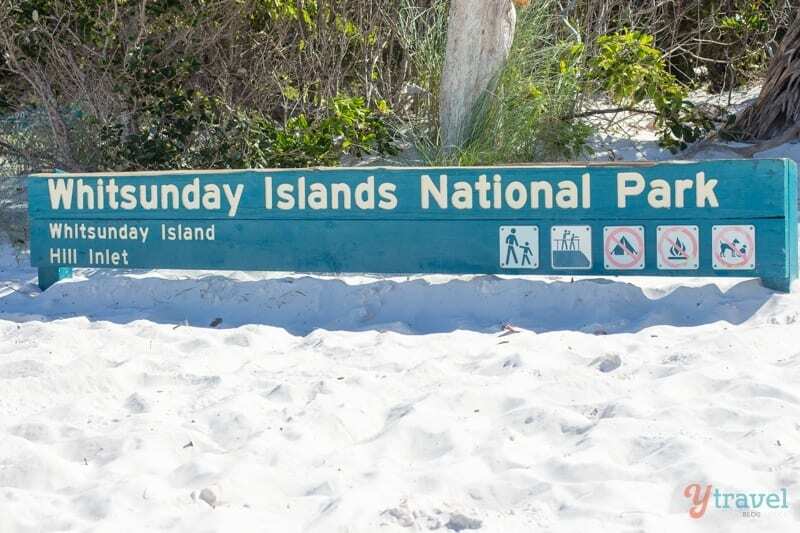 After getting our snorkelling fix we headed down to the biggest island in the Whitsundays, Whitsunday Island, and round the corner for the highlight of our tour – Whitehaven Beach. Even though we’d been to Whitehaven before and knew what to expect, the moment Australia’s most famous beach comes into view is a site I’ll never tire of seeing. 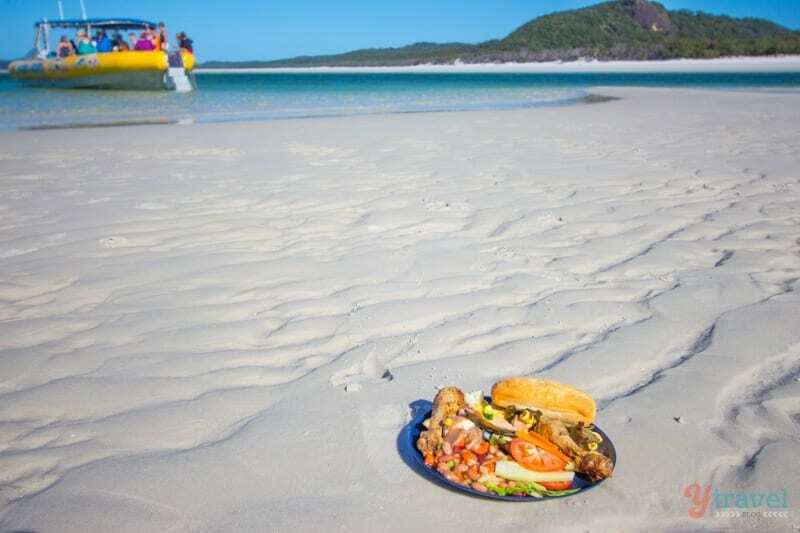 Is there a prettier site in the Whitsundays? I don’t think so. 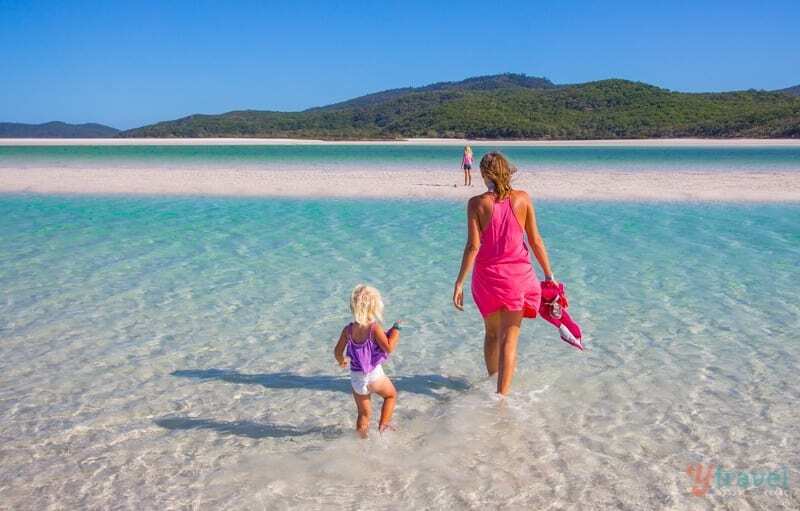 As you pull up and step ashore on the pure silica white sand and walk through the shallows of the crystal clear water you know you’re privileged to be setting foot on a real slice of Aussie paradise! The swirling patterns in the white sand and aqua coloured water is like nothing I have ever seen. You’ll be tempted to just collapse into the water or dig your toes into the powdery soft sand and sit in amazement. But if you want to get the picture perfect postcard photo and see the beauty of Whitehaven and how the sea interacts with the land, you must do the walk up to Hill Inlet. Book your Ocean Rafting Tour here. 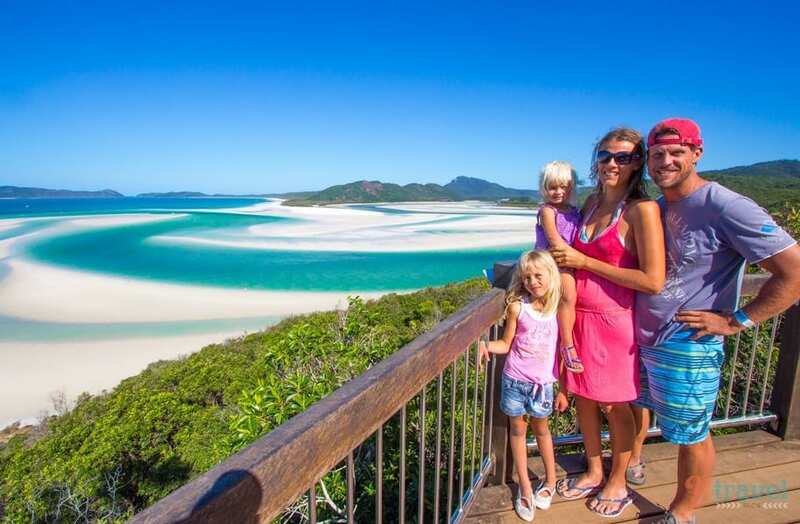 At the northern end of Whitehaven Beach, you’ll enter the Whitsunday Islands National Park, and it’s here you can take the 10-minute short track through the tropical rainforest which leads to this spectacular lookout. Hill Inlet is a stunning cove where the tide shifts the sand to create a fusion of swirling colours. The patterns of the shifting sands and small deepwater channels of turquoise water stretch from the National Park out into the Coral Sea. 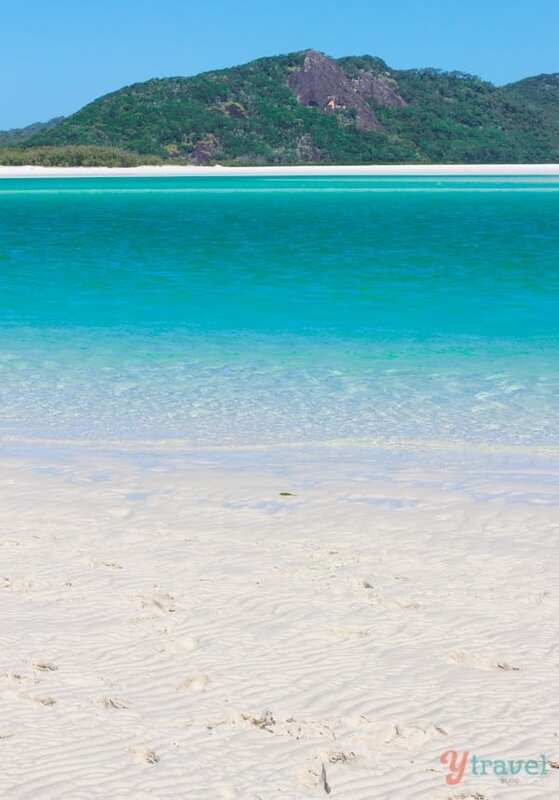 Hill Inlet offers magnificent views across Whitehaven Beach and Whitsunday Island. I’m sure you have seen this site many times through photographs, but you must witness it with your own eyes, it’s truly breathtaking! It was a brilliant weather day and we got a family snap by using our tripod and the self-timer on our camera for cherished memories! The afternoon was spent walking, swimming and then enjoying a delicious lunch of seafood, BBQ chicken and salads on the best white tablecloth nature can provide. 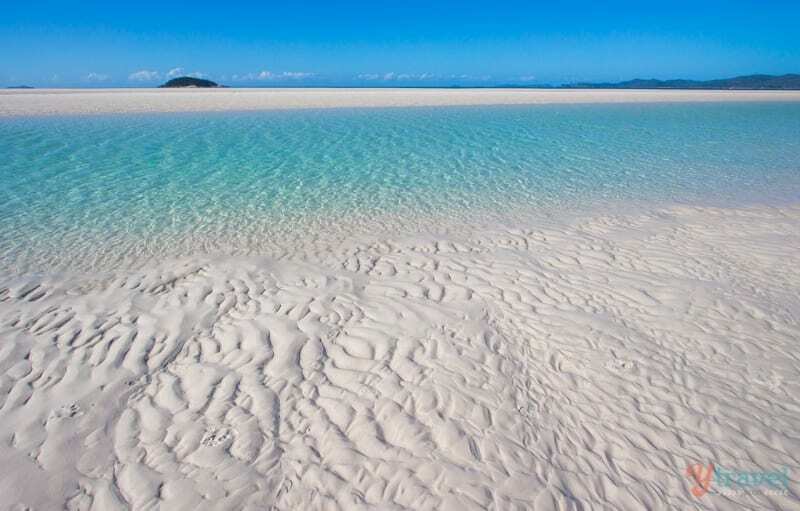 What I loved about this day trip with Ocean Rafting is that we had plenty of time to actually enjoy and photograph Whitehaven Beach. 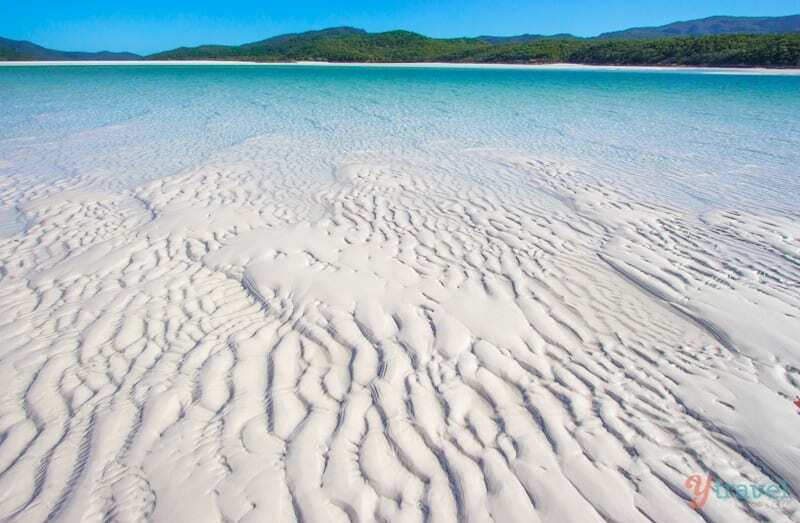 I’ve heard that on some tours your time on Whitehaven is very short, but if you’ve come all this way to see one of the top 5 beaches in the world you want your time in paradise to be as long as possible. We had ample time to walk up to Hill Inlet, play on the sand, swim in the water, and lunch time was leisurely. And the amount and quality of the food was impressive. I like to eat a lot and always get worried on these day trips that there won’t be ample food to satisfy my cravings but there was that much food to go around that I think I ended up having three servings, and our kids were well satisfied too! 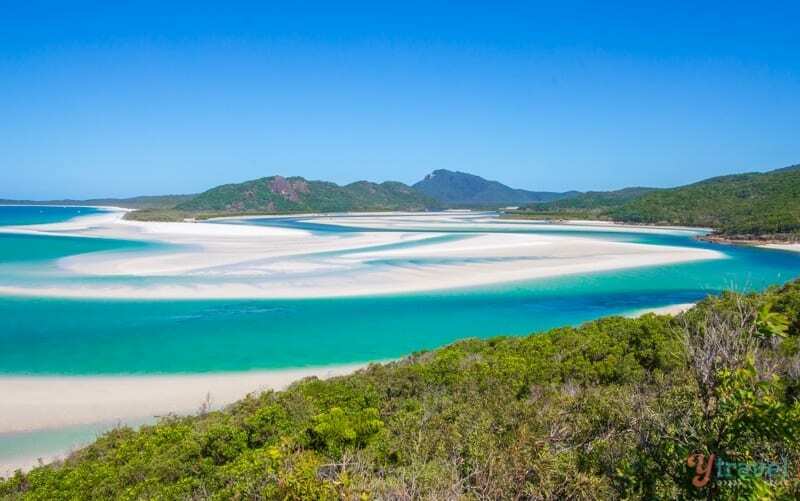 If you only have one day to explore the Whitsundays and Whitehaven Beach, this tour is a great option. Our crew were fun and knowledgeable. Depending on the time of year and the weather, make sure you take a jacket as the speed of the boat makes it windy and cool. Other than that, bring your regular beach-day supplies and get ready for an action-packed day in one of our favourite places in Australia! Airlie Beach is the main gateway to the Whitsunday Islands and is situated on the mainland. Getting there – Airlie Beach and The Whitsunday Islands are located a 13-hour drive north of Brisbane or 1hr 45 minute flight. 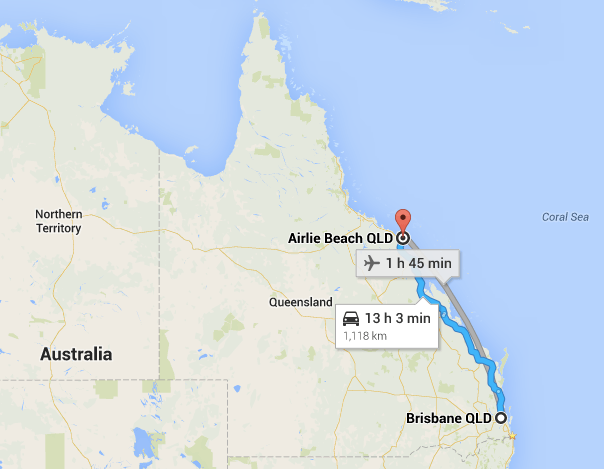 Coming from Cairns it’s a 8-hour drive or 1.25hr flight. Tours – Ocean Rafting has two different tours to choose from, the Northern Exposure and the Southern Lights tour. 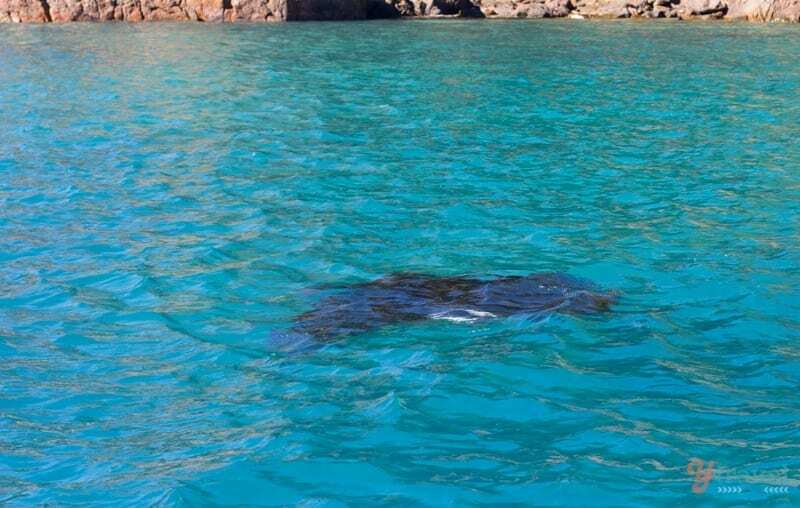 The Northern Exposure offers more snorkelling time and the Southern Lights offers more beach time. Find your Perfect Airbnb rental here. 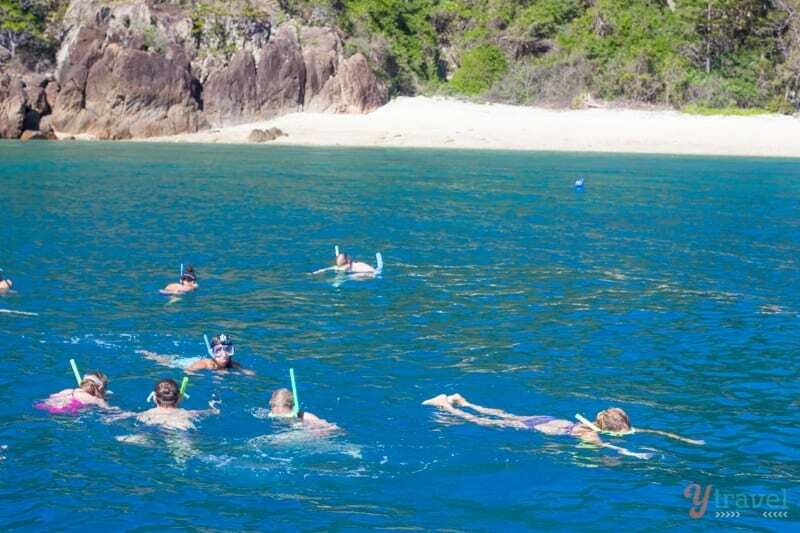 Check out these awesome tours in Whitsunday’s with our partner Viator. And it’s just as beautiful in real life Shilpa! This is amazing! 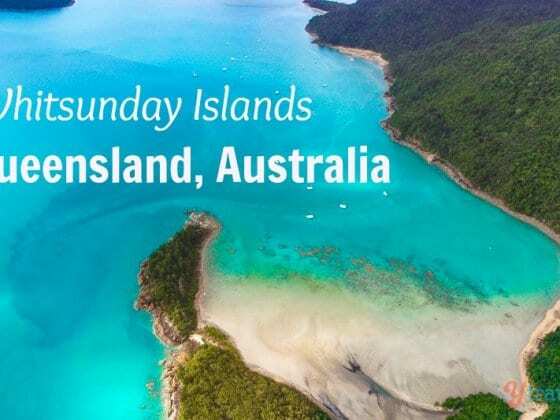 I’m heading to Australia in february, and really want to visit the Whitsunday’s – and this tour just seems perfect! Thanks for sharing! This is an amazing collection of photography. Reflection has always been tricky, yet these are really refreshing. Thanks! The best sand and water combo I’ve seen Katie! This sounds like an awesome day trip! 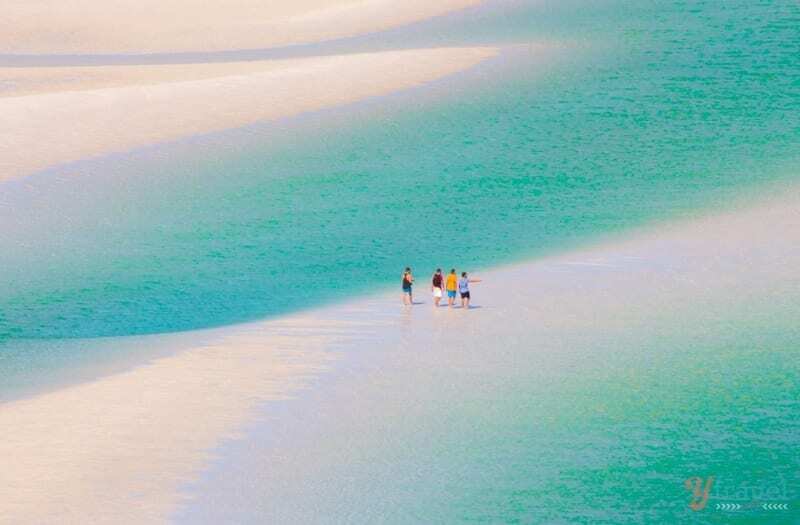 Visiting Whitehaven Beach is definitely high up on my bucket list. GUH, your photos of it are so gorgeous! If you come all the way to Oz Amanda you must see the Whitsundays!! I love this part of Australia. Its been years since Ive been to Whitehaven but its one of the most beautiful places in the world in my opinion. Thank you for sharing these photos and reminding me why I loved it so much. I agree Jenny, so beautiful there! If there is a color for paradise that would definitely be turquoise! 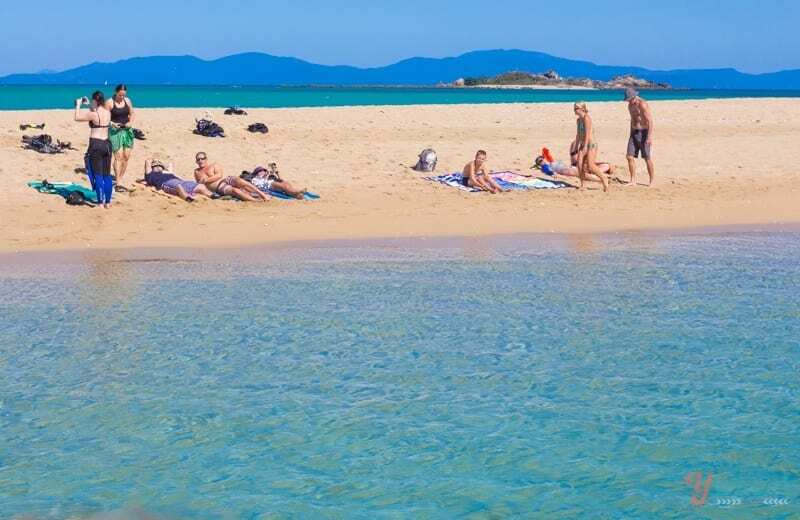 Australia is a different world in its own right and there is no wonder that such a beautiful beach is placed there. I would like be the last person left in the world and have this whole beach only to myself. Or, share it with my family, as you have done! this post makes me extremely excited! I’ll be heading to Australia at the beginning of next year and have heard a lot about this beach. can’t wait! That’s so awesome!! Thanks for letting us know and we are so glad you enjoyed it. I’m not sure how you get there, but if you search around online you should find out. I know Lonely Planet does mention how you can. Just make sure you take everything over with you, including water as there is no facilities there – and your bug spray! Thank tou so much for sharing all of this wonderful info! 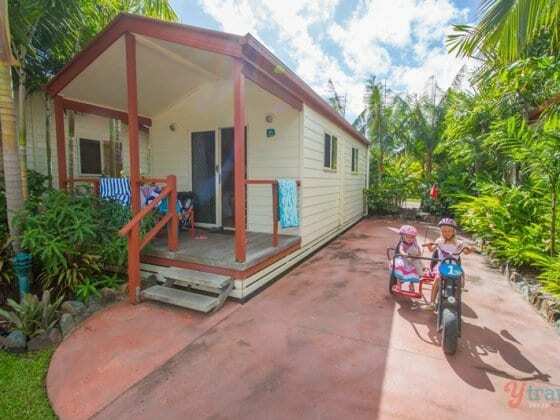 A few friends and I are headed to Australia in November and were wondering where we should stay as we would like to see Airlie Beach, the Whitsundays as well as Whitehaven. Any recommendations? Hi Alicia, just wanted to see if in fact you did go this past November and where you decided to stay and journey to? The pics are absolutely gorgeous. Thanks for sharing. We are planning a trip to Australia in January. Whitehavn beach is definitely on my list o places to go. 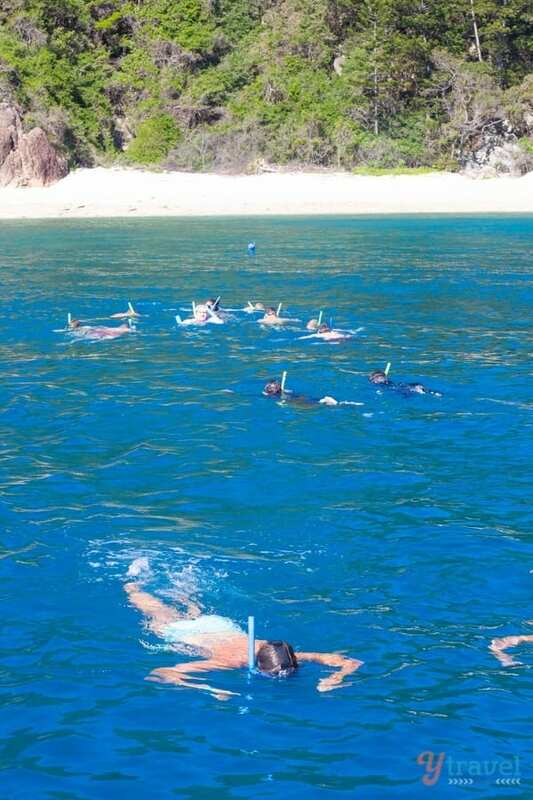 We want to snorkel but aren’t sure which tour to go on. I read that you can spend the night on a boat and snorkel for two different days. So you know anything about those kidneys of tours? Also do you think it would be better to take those two tours you mentioned the northern one and the saunters lights one and do two different days that way. I am also very concerned about the deadly jellyfish. Are they out that far in the reef? Do they go all the way out to whitsunday islands? Thanks in advance for your comments. I don’t think it will be necessary to do both the northern and southern tours. 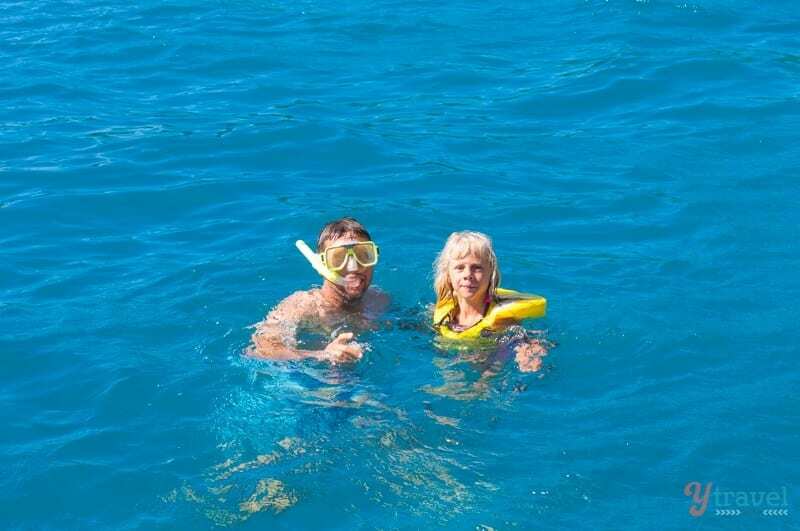 They both go to the same place it’s just that one spends longer snorkelling and the other longer at Whitehaven. I’m not 100% certain on that though so double check just in case. I don’t know too much about the overnight tours. I’m sure it would be a lot of fun. In regards to the jellyfish, the staff on the boat will make sure to keep you safe and you will be required to wear stinger suits for protection. I wouldn’t worry about it too much. The staff are very well trained with how to keep you safe and will understand current conditions to cater to that. This place looks absolutely beautiful!! Is it warm enough to swim here in July and August?